Ireland armed forces bolstered flood defenses on Sunday and warned people against non-essential travel as Hurricane Ophelia threatened the country with its worst storm in 50 years. 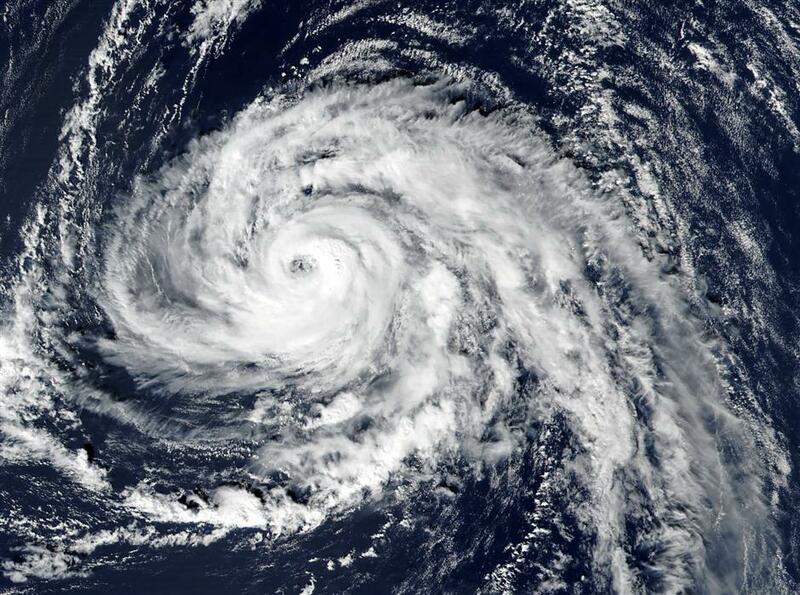 This handout satellite image captured on October 13, 2017 by the Visible Infrared Imaging Radiometer Suite (VIIRS) on the Suomi NPP and released by NASA Earth Observatory on October 15, 2017 shows hurricane Ophelia approaching the Azores islands in the Atlantic Ocean. Ireland dispatched its armed forces to bolster flood defenses on Sunday and warned people against non-essential travel as the remnants of Hurricane Ophelia threatened the country with its worst storm in 50 years. The weather service has warned some gusts may exceed 130 kilometers per hour. The government has also warned of localized coastal flooding and likely disruption to transport and electricity services. The storm is likely to pass close to a west of Ireland golf course owned by President Donald Trump, who has been planning a wall to protect its greens from coastal erosion. Members of the armed forces have been sent to Tralee on the south west coast to build coastal defenses with sandbags.